I'm trying a new product today you will love. 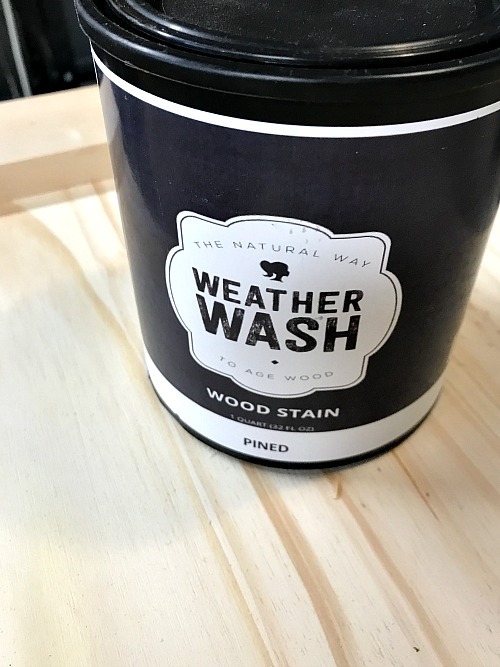 The product is called Weather Wash Aging Wood Stain and truthfully, it's very cool! This post contains Amazon affiliate links to products I used to repair this tile. Homeroad will receive a small compensation at no additional cost to you. 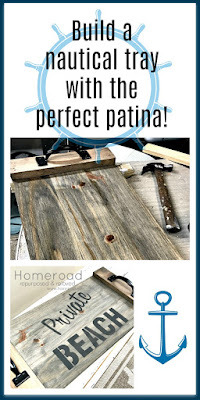 I'm testing this product today on one of my DIY rustic trays. 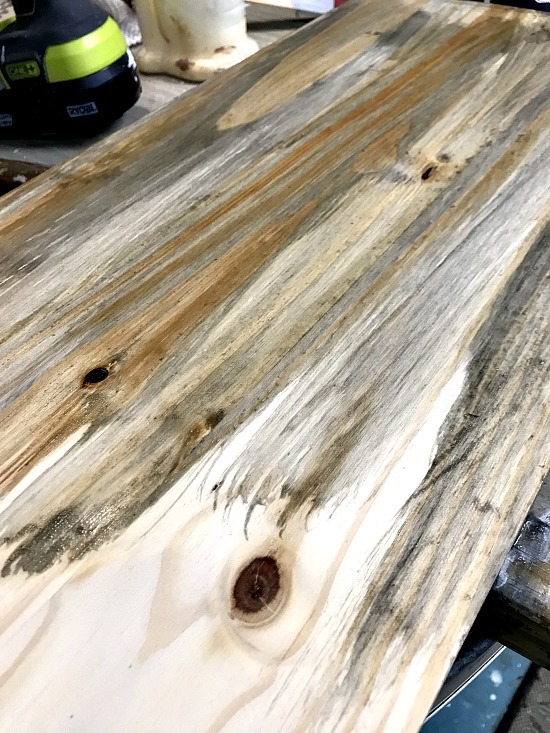 A tray built from a single plain pine board is best to show you the effects of Weather Wash on the raw wood. Weather Wash Stain is super simple to use. 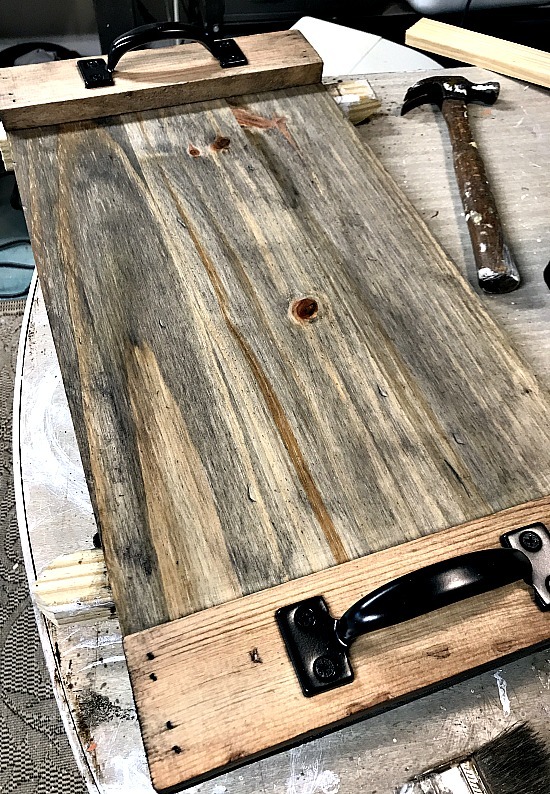 Once I built the tray, I started painting with the stain using a small chip brush. As soon as you begin painting you can see the color of the wood changing instantly. Within minutes the tray turned a beautiful driftwood color. As you can see the wood under the handles is a slightly different color because it was a different kind of wood, not sure what but not pine like the center piece. I added handles to the tray and once dry, it was ready for a stencil. 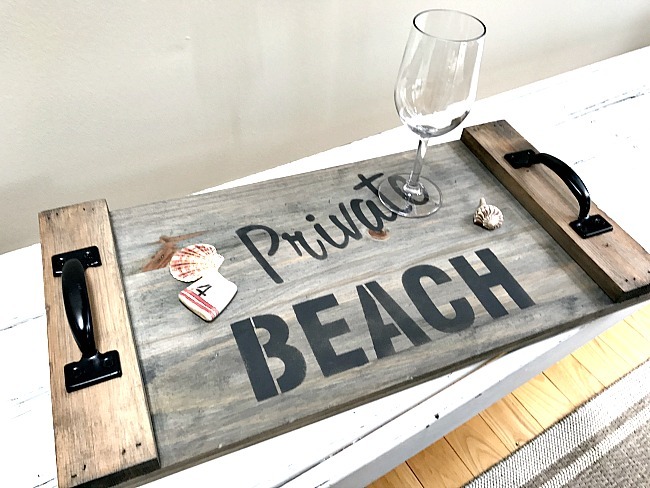 I chose one of my favorite beach signs to decorate the tray. The company recommends using a sealer or an oil as a topcoat on your project once the stain has dried. You can read more about their many products on the Weather Wash website. As for me I am totally sold on the product and look forward to trying all their different colors and products in the future. Thank you Weather Wash for letting me try your stain, I love it and hope my friends do too! 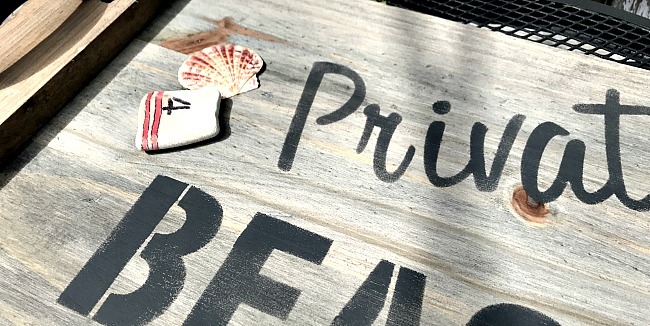 Thank you Old Sign Stencils for the beautiful Private Beach stencil. Thank you DLawless Hardware for the perfect tray handles! 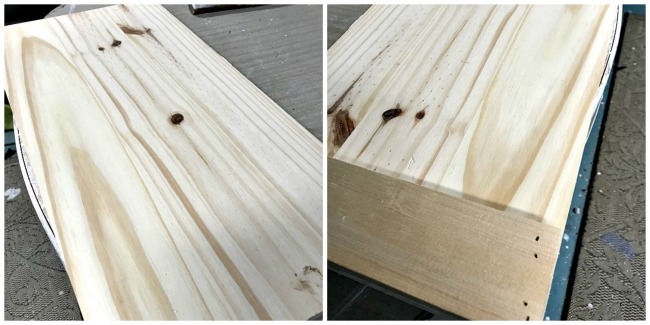 WOW what a difference that stain made..will be looking into this product. THanks...your tray is SOO cute! Great for summer time entertaining! Thanks so much Melissa. It sold quickly so I will be making more they are great for entertaining that is very true!! That stain is the BOMB! I love all the colours it brings out! And of course, those stencils polish this one off perfectly... :) Thank you for the stencil mention, Susan! 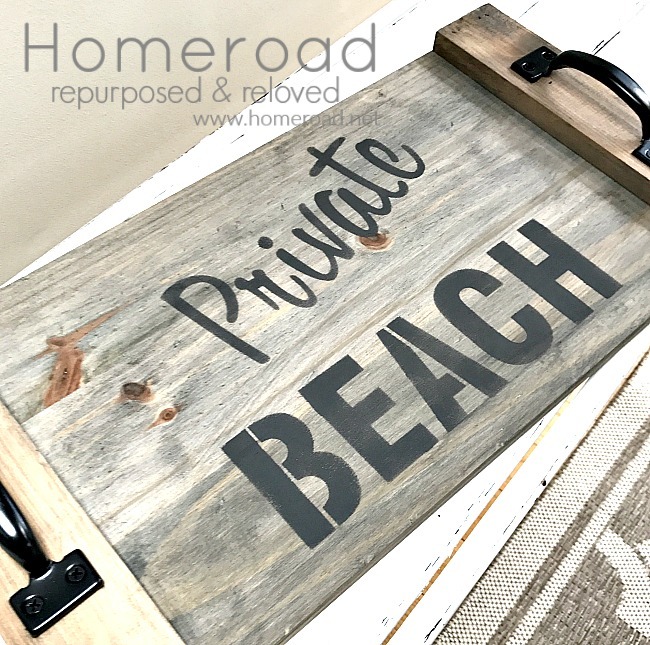 Featured this beauty this weekend on DIY Salvaged Junk Projects 384! Thanks for linking it up!